Back in 2002 Warren Buffet famously proclaimed that derivatives were ‘financial weapons of mass destruction’ (FWMDs). Time has proven this view to be correct. As The Amphora Report's John Butler notes, it is difficult to imagine that the US housing and general global credit bubble of 2004-07 could have formed without the widespread use of collateralized debt obligations (CDOs) and various other products of early 21st century financial engineering. But to paraphrase those who oppose gun control, "FWMDs don’t cause crises, people do." But then who, exactly, does? And why? And can so-called 'liquidity regulation' prevent the next crisis? To answer these questions, John takes a closer look at proposed liquidity regulation as a response to the growing use of 'collateral transformation' (a topic often discussed here): the latest, greatest FWMD in the arsenal. While the debate was somewhat arcane in its specifics, it boiled down to whether the additional financial market liquidity created through the use of securities repo and other forms of collateralized lending were destabilizing the financial system. He dismissed this argument although I’m not sure he really understood it; at least not until there was a run on money-market funds in the wake of the Lehman Brothers bankruptcy in November 2008. It was at that point that economic officials at the Fed and elsewhere finally came to realize how the shadow banking system had grown so large that it was impossible to contain the incipient run on money-market funds and, by extension, the financial system generally without providing explicit government guarantees, which the authorities subsequently did. Trained as most of them were, in the same economics departments and at the same institution, the Fed, it should perhaps be no surprise that neither the Fed, nor senior economists at the bulge-bracket banks, nor the US economic academic and policy mainstream generally predicted the global financial crisis. As the discussion above illuminates, this is because they failed to recognize the importance of the shadow banking system. But how could they? As neo-Keynesian economists, they didn’t—and still don’t—have a coherent theory of money and credit. Time marches on and with lessons learned harshly comes a fresh resolve to somehow get ahead of whatever might cause the next financial crisis. For all the complacent talk about how the “recovery is on track” and “there has been much economic deleveraging” and “the banks are again well-capitalized,” the truth behind the scenes is that central bankers and other economic officials the world over remain, in a word, terrified. Of what, you ask? Of the shadow banking system that, I believe, they still fail to properly understand. In the preface, Mr Dudley presents the report’s key findings, in particular “evidence of increased reliance by banks on collateralized funding markets,” and that we should expect “[t]emporary supply-demand imbalances,” which is central banker code for liquidity crises requiring action by central banks. Why should this be so? Well, if interbank lending is increasingly collateralized by banks’ highest quality assets, then unsecured creditors, including depositors, are being de facto subordinated in the capital structure and are highly likely to ‘run’ at the first signs of trouble. And if banks are holding similar types of collateral that suddenly fall in value, then they can all become subject to a run at the same time, for the same reason. Those financial institutions engaging in the practice probably don’t see things this way. From the perspective of any one institution swapping collateral in order to meet changing regulatory requirements, they see it as necessary and prudent risk management. But within a closed system, if most actors are behaving in the same way, then the net risk is not, in fact, reduced. The perception that it is, however, can be dangerous and can also contribute to banks unwittingly underprovisioning liquidity and undercapitalizing against risk. Sarcasm aside, it should be clear that all that is happening here is that the regulators are expanding their role yet again, thereby further shrinking the role that the markets can play in allocating savings, capital and liquidity from where they are relatively inefficiently utilized to where they are relatively more so. This concept of free market allocation of capital is a key characteristic of a theoretical economic system known as ‘capitalism’. But capitalism cannot function properly where capital flows are severely distorted by regulators. Resources will be chronically misallocated, resulting in a low or possibly even negative potential rate of economic growth. Turns out that for Europe, Cyprus was a "bail-in" template after all, and following an agreement reached early this morning, Europe now has a joint failed-bank resolution mechanism. Several hours ago, EU finance ministers announced that they had reached agreement on the principles governing the imposition of losses on creditors in bank 'bail ins'. Having already agreed to establish "depositor preference" in the pecking order of creditors at risk, the stumbling block to agreement was the availability of flexibility at the national level to complement the bail in with injections of funds from other sources. Under the compromise achieved overnight, once a bail in equivalent to 8% of total liabilities has been implemented, support from other sources can be used (up to 5% of total liabilities) with approval from Brussels. So investors (i.e. yield chasers) and not taxpayers will foot the cost of bank bailouts going forward for a change? Maybe on paper: "From 2018, the so-called “bail-in” regime can force shareholders, bondholders and some depositors to contribute to the costs of bank failure. Insured deposits under €100,000 are exempt and uninsured deposits of individuals and small companies are given preferential status in the bail-in pecking order." In reality, last night's agreement is the usual fluid melange of semi-rigid rules filled with loopholes designed to benefit large banks whose impairment may be detrimental to "systemic stability". To wit, from the FT: "While a minimum bail-in amounting to 8 per cent of total liabilities is mandatory before resolution funds can be used, countries are given more leeway to shield certain creditors from losses in defined circumstances." In other words, here is the bail in regime... which we may decide to ignore under "defined circumstances." Next, since the "package must be agreed with the European parliament, a process that could stretch until the end of 2013" we urge no breath holding, especially since it was in late 2012 that news of a joint European bank regulator was announced, and one year later this concept has crashed and burned. In fact the bail-in deal will "open debate on further stages of financial integration, including on establishing a central authority to shut down eurozone banks" and "Germany is strongly resisting centralising such important powers to shut down banks under existing treaties." But golf clap to Europe for finally admitting that reason and logic also apply to the most banana continent of all: after all, it took years of legislating to realize that the insolvency impairment waterfall, a concept rooted in logic and not in political BS, applies in Europe as it does everywhere else in the world too (except for the TBTFs in the US of course). It’s a great metaphor for how our financial system works. The entire system is based on confidence. And as long as most people maintain this confidence, everything is fine. This is the model right now across the system. And it’s especially pervasive in the banking system. Modern banking is based on this ridiculous notion that banks don’t actually have to hang on to their customers’ funds. Banks in the United States typically hold less than 10%, and even less than 5%, of their customers’ savings. This is particularly true among smaller regional banks. 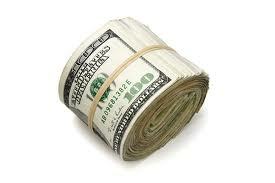 As an example, BB&T bank is holding about $3.2 billion in cash equivalents on $131 billion in customer deposits. That’s a ratio of just 2.4%. The rest of customer deposits are mostly invested in residential mortgage backed securities (similar to those which collapsed in 2008) and commercial loans. In fact, the bank’s loan portfolio exceeds total customer deposits. Not exactly the picture of financial health. Now, I’m not trying to badmouth any particular bank here; these example are representative of the entire western financial system. Yet few people give much thought to where they park their hard-earned savings. We’re deluded into believing that our bank is safe. It must be, after all. It’s a bank! And… it’s backed by the government! This is why it’s so important to give a lot of thought to your financial partner. Do they have a fundamentally safe balance sheet? Or is it just smoke and mirrors? Take a look at your own bank’s balance sheet. How much cash do they hold as a percentage of deposits? How big is the loan portfolio as a percentage of deposits? How much equity does the bank have as a percentage of deposits? If you’re not satisfied, find another bank. And you may have to look overseas at stronger jurisdictions. Singapore is one place where I’m happy to park capital. OCBC for example, holds a whopping 38% of customer deposits in cash equivalents… ten times as much as many banks in the West. I’m not necessarily endorsing OCBC, but rather citing it as an example of what a healthy bank balance sheet is supposed to look like. Many banks in Singapore hold similar figures. If nothing happens, you won’t be worse off for it. Yet if the confidence game collapses, you’ll be one of the few left standing with your savings intact. Loans to businesses and individuals will resume according to the Bank of China on July 15th. The Industrial and Commercial Bank of China has stated that it is normal for them to put limits on the amount of lending that they do and those limits are set each month. Cases of where the bank has to interrupt their lending have already occurred. However, it would appear that the amount of lending was reduced in comparison with previous months by the banks head office for June. Apparently, the credit line will be reopened in July, but it will be only for a few days as they do not have enough deposits. On June 23rd, the Industrial and Commercial Bank’s customers had trouble withdrawing cash from cash machines and they also did not see bank transfers going through on their accounts on time. The Bank of China suffered the same setbacks on June 24th. Today they have cut loans heightening worry both inside and outside of China as to the stability of the banks. Statements were issued by the banks giving upgrades in IT services as the reason. Rather strange, however, that both banks updated their systems at the same time and suffered the same glitch in the system. There are two other banks that have interrupted their mortgage loans also: CITIC Bank and Huxua Bank. Analysts have always stated that the larger banks have stopped lending to smaller banks as they are worried about liquidity and there are deposit issues, but they seem to believe that the large banks will not stop lending to individuals and businesses. Only smaller banks will suffer from the credit crunch taking place in China right now. But, the banks that have halted lending today are not in line with that thinking. 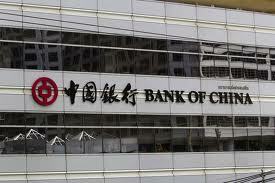 The Bank of China, which has existed since 1905, is the 2nd largest lender in China at the present time. It is the 5th largest bank in the world in terms of market capitalization. It employs nearly three hundred thousand people and has total assets to the value of CN¥ 11.829 trillion. That doesn’t sound very much like a small bank. It also has branches in 27 countries around the world. The knock-on effect in those countries will surely be felt too. Investors are not worried for the moment as share value rose today by 3.3%. But, will that continue? The Industrial and Commercial Bank of China is also one of China’s big four banks (Bank of China, Agricultural Bank of China, and China Construction Bank). It is the largest bank in the world with regard to profit and market capitalization and was listed by Forbes Global 2000 in number one position as the world’s largest public company. It employs four hundred thousand people. In 2010 net lending of the bank stood at 70 billion Yuan, meaning that it lent than any other bank in China. 20% of its lending goes to manufacturing industry and personal loans are over 15% of its business also. It was the world’s largest Initial Public Offering at US$21.9 billion when it was listed on the Hong Kong Stock Exchange and the Shanghai Stock Exchange simultaneously in 2006. However, the news doesn’t seem to worry investors for the moment as share value rose by 6.82% today to 4, 700HKD (up 0.3 points). This is all cause for major concern however. It will be an issue in the coming days, in particular in light of the People’s Bank of China’s recent statements that there was ‘reasonable’ liquidity statement that was issued a couple of days ago. The ‘reasonable’ turned into ‘ample’. Share value is still rising for the moment for both banks, but the Bank of China is below what it was just a few days ago as can be seen in the chart. The Bank of China had already tightened lending in early 2010 in a bid to increase deposits and liquidity. But today the reining in of loans is in a different set of circumstances. The entire banking sector in China is currently strapped for cash and not just one bank. How much the People’s Bank of China will be able to ward of accusations that there is indeed a big liquidity problem in China today is far from certain. So, the options that are open to businesses and individuals? Unless the People’s Bank of China comes up with some cash to unfreeze the situation and double-quick, the Chinese (but, unfortunately, not only the Chinese) had better start popping down to the pawnbrokers and speaking to Uncle. Otherwise it looks as if they are in for a rough time. If money dries up in those two banks and continues, then small and medium sized businesses are likely to suffer and there will be a bank-run on. Don’t envy them at all for that. We could always send Ben Bernanke, couldn’t we? He will sort the problem out in true Federal-Reserve fashion. Uncle Ben would be a better option than the pawnbrokers maybe for some! He may be looking for a short stopover in Shanghai when his stint at the Federal Reserve is up in 2014. Everyone knows Europe is insolvent; the only question is "when" will Europe be forced to finally admit this truism. The long overdue house of cards may start toppling in as little as 6 months, as The Telegraph reports,Mediobanca's 'index of solvency risk' suggests "time is running out fast" for Italy. With the breakdown in Eurozone talks on a banking union and the Fed's shift in policy, Europe "has become a dangerous place," warns RBS. Unless Italy can count on low borrowing costs and a broad recovery, it will "inevitably end up in an EU bailout." The current situation is as bad as when the country was blown out of the ERM in 1992 as "the Italian macro situation has not improved...rather the contrary; with 160 large corporates in Italy now in special crisis administration." If the ECB doesn’t act, one analyst warns (pleads) it could see all the gains of the past nine months vanish in two weeks. Mediobanca said the trigger for a blow-up in Italy could be a bail-out crisis for Slovenia or an ugly turn of events in Argentina, which has close links to Italian business. "Argentina in particular worries us, as a new default seems likely." The Bank for International Settlements (BIS) says banks have done their bit to help economic recovery and governments must do more. The Basel-based organisation - usually dubbed the "central banks' central bank" says it is time for them to stop pumping funds into their economies. Markets are already bracing themselves for a world without central bank help. Last week the US central bank said it planned to stop pumping money into the economy, sparking market volatility. In its annual report, the BIS said the world's central banks had done their bit to offset the worst effects of the six-year long global credit crisis. As the credit crunch bit, central banks tried a number of tactics to try to keep the money flowing, initially cutting interest rates and later adding in quantitative easing, buying in assets and releasing vast sums into the banking system. The BIS said it was now the turn of governments to oil the economic wheels. It said this should be done through labour market reforms to increase productivity. It said they should undertake a "forceful programme" of "repair and reform", as this was the only way to bring about a lasting economic revival. It said: "Although six years have passed since the eruption of the global financial crisis, robust, self-sustaining growth still eludes the global economy. "During this time, central banks in advanced economies have been forced to look for ways to increase their degree of accommodation. But central banks cannot solve the structural problems that are preventing a return to strong and sustainable growth." The BIS said central bank action had borrowed "time for others to act, allowing them to repair balance sheets, to consolidate fiscal balances, and to enact reforms to restore productivity growth". But Stephen Cecchetti, the head of the BIS monetary and economic department, said this had made it easy for the private sector to put off reforms and for governments to finance deficits more cheaply thanks to the low interest rates their actions had introduced. Mr Cecchetti said central banks must return their focus to maintaining financial stability and encouraging reforms, rather than "retarding them with near-zero interest rates and purchases of ever larger quantities of government securities". The BIS was founded in 1930 and is the world's oldest international financial institution. 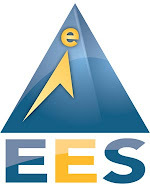 Its 60-strong membership includes the Bank of England, the European Central Bank, the US Federal Reserve, the People's Bank of China and the Bank of Japan. As we warned earlier in the week, Greece is notably missing its Troika goals and the issue just became a lot more critical. AsThe FT reports, the IMF is preparing to suspend aid payments to Greece over what it claims is a EUR 3-4 billion shortfall that has opened up. Between healthcare budget shortfalls, central banks refusing to roll-over Greek bonds, and amid signs that even the scaled-back privatization plans that Athens had agreed to being behind schedule, the IMF -following its own admissions of mistakes in the Greek bailout, has warned EU officials the shortfall will require it to stop aid payments by the end of July. The equity market is already reacting (as is EURJPY - EUR weakness against the big carry pair) to this re-awakening of EU event risk (and the awkward timing with Merkel's election so close) - with the Fed's comfort blanket somewhat removed. Contrary to what one may have read in the financial tabloids, a houseing market does not recover thanks to Fed-subsidzed REO-to-Rent loans used by the biggest private equity firms to buy up distressed property on the margin, by foreign oligrachs buying Manhattan triplexes sight unseen just to park 'tax-evaded' cash courtesy of the NAR's anti money-launderingexemption, and by foreclosure stuffing from the big banks desperate to subsidze the market higher before the sell into it. The recovery comes from the average consumer, who has disposable income and savings (in a hypothetical scenario of course) and who can buy houses based on a given monthly budget - a budget which must provide a better deal to own than to rent. Wells Fargo & Co., the largest U.S. mortgage lender, is offering 30-year fixed-rate loans at 4.5 percent, according to its website, up from 4.13 percent on June 18 and 3.88 percent on May 22, when comments by Bernanke to lawmakers and the release of the minutes of the last Fed meeting caused bonds to plummet. Freddie Mac’s survey, which is lagging behind the bond slump because it reflects originator responses through yesterday, showed average rates falling to 3.93 percent this week. So in one month, the average 30 year fixed rate mortgage has jumped by over 60 basis points. What does this mean for net purchasing power? Well, as the chart below shows, assuming a $2000/month budget to be spent on amortizing a mortgage (or otherwise spent for rent), it means that suddenly instead of being able to afford a $425K house, the average consumer can buy a $395K house. This means that, all else equal, housing just sustained a 7% drop in the average equlibrium price based on what buyers can afford. But assuming the current selloff in rates continues, things are going to get much worse: we may be seeing 5%, 5.5% even 6% and higher mortgages in the immediate future. It also means that a buyer who could previously afford a $506K house with a $2,000 monthly budget at an interest rate of 2.5% will be able to afford only $316K if and when the average 30 Year fixed hits 6.5%: a 40% drop in affordability based on just a 4% increase in interest rates! And this is bullish for the economy? Institutional players entered market such as BlackRock and JPMorgan (and many others) now exiting. Smart money getting out of stocks and real estate These new investor buyers have been artificially inflating the market in many areas. Fed policy – Fed will stop buying mortgage securities This will drive the cost of financing through the roof. Demographic shift, baby boomers retiring and new generation not buying more houses. Job crisis – while unemployment figures officially claim we have a job recovery, companies are laying off workers in record amounts. Unemployed people don’t buy houses. Workers who are laid off may have to sell their house. Bond market collapse – For those retirees who keep their money in bonds, with the pending bond market crash they will have less money to pay for their houses. WASHINGTON (MarketWatch) — The Federal Reserve on Wednesday signaled greater optimism about the economic outlook, forecasting that the unemployment rate could fall to 6.5% by 2014, one year sooner than the central bank had previously estimated. In its policy statement, the Fed said downside risks to the outlook had diminished and that the labor market had shown further improvement. Rick Santelli Rages: "What Is Bernanke So Afraid Of?" The following three minutes of absolute perfection uttered by CNBC's Rick Santelli is dangerous for anyone living in Kyle Bass' "intellectually dishonest" alter-world of denial and "unicorns and rainbows" as the Chicagoan goes off on theignorance of everyone in these so-called markets. When every talking head is bullish and the world is going so great that we should all "buy stocks," Santelli demands we ask Bernanke - "what are you scared of," that keeps you pumping this much money into the system for this long? Simply put, Santelli's epic rant is the filter that every investor (or member of the public) should be viewing financial media and the Fed today (or in fact every day). What's wrong with the economy? I don't hear these people saying anything is wrong with the economy. So what's wrong, Ben? Why can't we get out of crisis management mode? There's always going to be something. Why don't these people kick the tires? They take a press release from the Federal Reserve and they think it was written by God. Bankers: Do not Pass GO, Do Not Collect millions and Go Directly to Jail! A new banking report is published today in the UK. There are jobs that nobody wants to do really, aren’t there? As your kids are growing up, you hope they don’t ask you one day to come and sit down as they have something serious to talk to you about. Dread! You know what’s coming: “Hey, mom, dad, I’m…I’m going to be a…a banker!”. Then, your whole life falls apart. It’s like being on a par with gutting social-unacceptable jobs like debt-collector and bailiff, isn’t it? The money might be there, but the morals aren’t? Well, George Osborne, Chancellor of the Exchequer of the UK, has all eyes focused on him with the idea of the century, it seems. A banking commission headed by Conservative MP, Andrew Tyrie has made 80 recommendations to make the banking sector the place you want your kids to work in when they grow up. Morals will change and the banking will be a good job to have! George Osborne is giving the Mansion-House (residence of the Lord Mayor of London) speech to the city tonight, an annual speech in which the Chancellor of the Exchequer traditionally gives his impression of the state of the British economy. It seems rather unlikely that he will announce some of the recommendations to the bankers that will be seated at the tables in front of him, however. Not unless he wants them to choke on the spicy ingredients that he have been concocted. These include making bankers wait up to ten years to receive bonuses and going to prison. Heard it all before? Thought it? Dreamt of it? The Report did it. “little realistic prospect of effective enforcement action, even in many of the most flagrant cases of failure”. “remuneration has incentivised misconduct and excessive risk-taking, reinforcing a culture where poor standards were often considered normal”. To take out the excessive risk-taking from the lives of bankers in the workplace, the report puts forward the suggestion not only that the bankers should receive the bonuses after a period that could last up to ten years (now that’s time to forget what you have actually done to get the bonus, isn’t it?) but also that the remuneration be in bail-bonds. It also suggests that for wider cases of misconduct remuneration should be cancelled and that if the taxpayer has to foot the bill, then they should definitely not be made. We know from a recent report from the Chartered Institute of Personal Development also that the majority of bankers are in agreement. They think that they are paid excessive amounts and sometimes they don’t know why they get all the money they do. So, if we all agree, let’s cut the bonuses and improve regulation. What are we waiting for? The report states that banks have failed the UK in ‘many respects’. £133 billion have had to be injected in bail-outs, amounting to £2, 000 per every person in the UK today. But, it seems that it is also the shareholders that have been let down too. They have had ‘poor long-term returns’. Excessive risks that were taken in the period leading up to the financial crisis were not down to miscalculation of mathematical equations that boiled down to the bankers getting their sums wrong, but to the fact that the banks were and still are too big to fail. They are able to take greater risks because they are too complex and too enormous. We can’t let them fail and that they know only too well. It’s all very well saying ‘yes, let them fail and then they will see’. But, what will the average person be eating then? Bread and water will be more than just dietary supplements, they will become the staples. Banks today have access to cheaper credit. Their success is determined not so much by the careful and planned placing of financial equity, but the guarantee that lies steadfastly behind them. The report clearly states that bankers should not flippantly refuse to accept that public anger at high salaries is purely jealousy-driven or petty ignorance. “Rewards have been paid for failure”. Bonuses may have fallen, although the report points out that this has been off-set by fixed-pay rises. It has also been suggested that there needs to be greater equality in terms of employing women. Women take fewer risks traditionally on the trading floor and so the report asks for employment policy to be changed in banks. Senior bankers have also come in for a belting from the report, accused of wearing blindfolds as to their responsibility. They are accused of being so far removed from the misconduct that they have ended up being admonished of all responsibility. The report suggests that a prison sentence would certainly make senior officials think about what is being done. 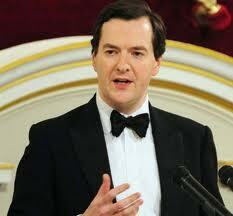 The report states that it would “give pause for thought to the senior officers of UK banks”. However, to what extent would senior officials of any bank really consider their potential criminal liability? It also raises the question as to what extent it would be possible to actually see a conviction and criminal liability recognized in a court of law? Hard to prove. The reports can be found here. Enjoy! If anything actually gets done. Previous suggestions were already ignored by the British government with regard to changes in the banking sector and the report states that it is “disappointed” that this has happened. Aren’t we all? However, clearly the report states quite a few home truths; things that the average citizen has been feeling and voicing for many a year now. But, until now that has been largely left just as words from angry and jealous members of the public that also want to strike it rich and get paid for doing wrong. Now though, how long will the suggestions that have been made be ignored and how long will the Chancellor of the Exchequer be able to turn a deaf ear to what is being said? The report comes at a timely moment; Mr. Osborne looks like he may still have time to rectify his speech for tonight’s dinner! The report states “An important lesson of history is that bankers, regulators and politicians alike repeatedly fail to learn the lessons of history”. This time it is (apparently) different. Bankers and everyone else have learned the lessons. Have they? What do you think? Are bankers going to repeat history or have they learned from their mistakes?